Last week, I had the pleasure of working with our great Year 6 and so decided to use an idea from my eBook - The 12 iPad lessons of Christmas. But we decided to take it even further and bring in a performance element. AsdaTescoSainsbury'sAldiWaitroseCo-opIcelandMarks and SpencerMorrisons They first had to price up a full Christmas dinner with all the trimmings. Working out the value for their shop. They then were given the task to making a two-minute presentation to try and convince people to shop at their chosen shop. They had to use their initial research to help and find their unique selling point. If the price was quite cheap focus on that. If it was more expensive think of words to exaggerate how tasty and delicious their food is. Some could research other shops and use a comparison to help persuade people to back their pitch. A Special Letter To Father Christmas! 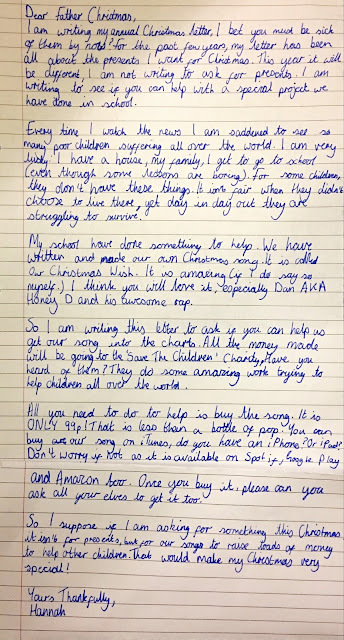 I had to share this letter written by one of our Digital Leaders! Amazing! Not going to lie, I had a tear in my eye! Please take a minute to read it and then help it come true! As many of you know, I often use music as a way to explore text and improve comprehension skills. To get in the festive mood, here is another brilliant song to deconstruct with your class and inspired a recent project with my pupils. It is my favourite Christmas song - Band Aid - Do they know it's Christmas? Here are the lyrics with some questions to consider! Finally, I can share this amazing project done by the pupils at our school. What started as a discussion about the links between music and poetry, where I demonstrated my love for songwriting and what an amazing way to express yourself has now turned into the children publishing a song they have written themselves. We started by exploring some lyrics to different songs and discussing them. The children then wanted to write their own song. The pupils wanted to write a song to combat the negativity they have seen all over the news this year. Being close to Christmas, they wanted to use it as an opportunity to spread positivity and help others. When I explained that we would try and turn their writing into an actual song. This added purpose to the writing and the efforts were incredible! 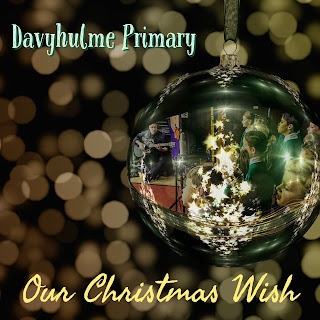 We now can proudly announce that the song written by the Davyhulme Primary Digital Leaders is available to download and stream! 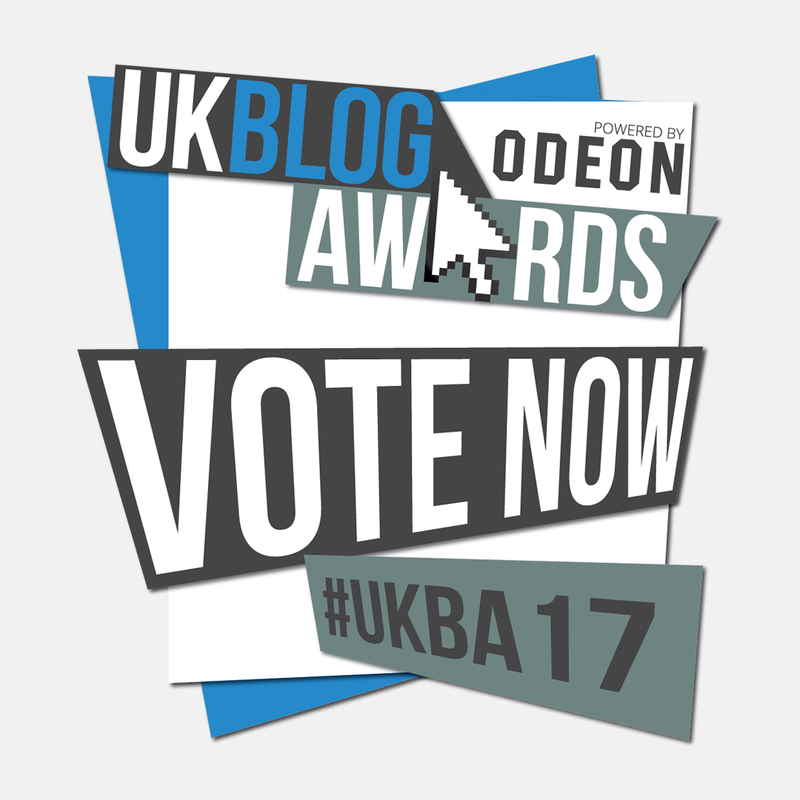 I am very excited and honoured to see that my blog has been nominated for the UK Blog Awards 2017. This will be the third year my blog has been nominated. In the previous two years, I have made it to the shortlist and narrowly missed out on the top prize! This year, I would love to go one step further! But I NEED YOUR HELP! The next part of the process is the public vote, so I need as many people as possible to vote for my blog. 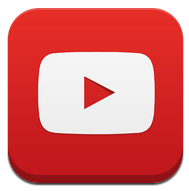 I have been nominated for three categories: Education, Digital and Technology and Vlogger! So if you have found any ideas or inspiration through the blog, or found some of the videos and vlogs funny, please take a minute to click the links and vote. I really really appreciate it! Thank you so much for the continued support! It means an awful lot! Fingers crossed, I can make the shortlist again! The Struggles for a Teacher Putting on a Christmas Play! I am sure there are plenty of teachers around the country who can relate to this! So feel free to share! I have been meaning to put this blog post together for a long time. Just before Summer, Alan Peat and the team very kindly turned one of my ideas into an app. My main focus when it comes to using mobile technology is trying to get teachers and pupils to see themselves as creators and focus on apps that allow students to create, demonstrate, express and share their learning. A lot of schools are still stuck using app that just focus on consuming and using the tech. Don't get me wrong, there are some brilliant consumer apps out there: some great maths games and English word games. My worry comes when schools are only using technology in this way and therefore not being creative through the technology.